Rosemary Lee is a choreographer who has created a range of work over the last 30 years, from large-scale site-specific works and solo works to video installations and short films. Regardless of their scale, these projects have an intimate quality and often explore our relationship with our environment. Born in England, Rosemary Lee encountered the work of seminal dance artists associated with Judson Dance Theatre while living in New York in her early twenties. She trained at the Laban Centre for Movement and Dance and now lives and works in London. Ongoing live projects include Calling Tree, a performance cycle of songs, movement and messages located in and around iconic trees, made in collaboration with Simon Whitehead. Versions of Calling Tree have been shown in Migrations (2015), London International Festival of Theatre (2016) and the Bloomsbury Festival (2016). Recent performance works include Melt Down (2012-16), made with a group of men of varied ages, Rising, last shown at Bath Dance in 2016, and Under the Vaulted Sky (2014), created with a cast of 100 in a cathedral of trees for IF: Milton Keynes International Festival. Rosemary Lee writes and lectures internationally, instigating and participating in cross-disciplinary research, projects and events. She is a Work Place artist, Senior Research Fellow at C-DaRE Coventry University, ResCen Research Associate Artist at Middlesex University, and holds an honorary doctorate from Roehampton University. Her performance projects are produced by Artsadmin. Rosemary Lee has developed a new performance work for Groundwork. 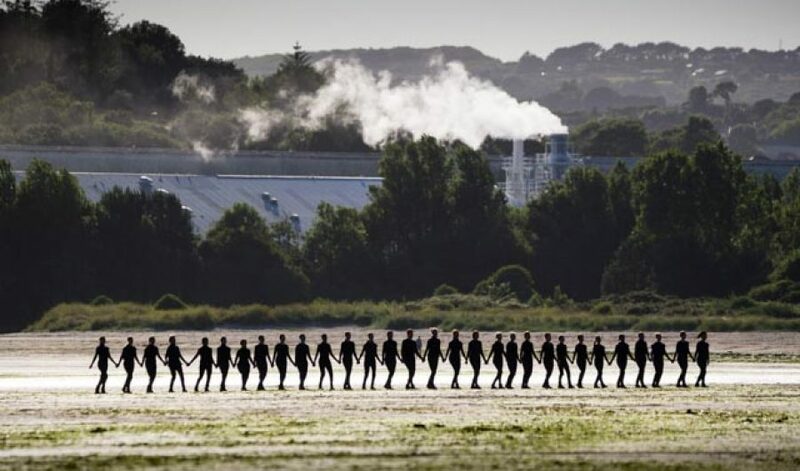 Passage for Par, commissioned by CAST in partnership with Dance Republic 2, will inhabit the vast expanse of Par Beach in June. 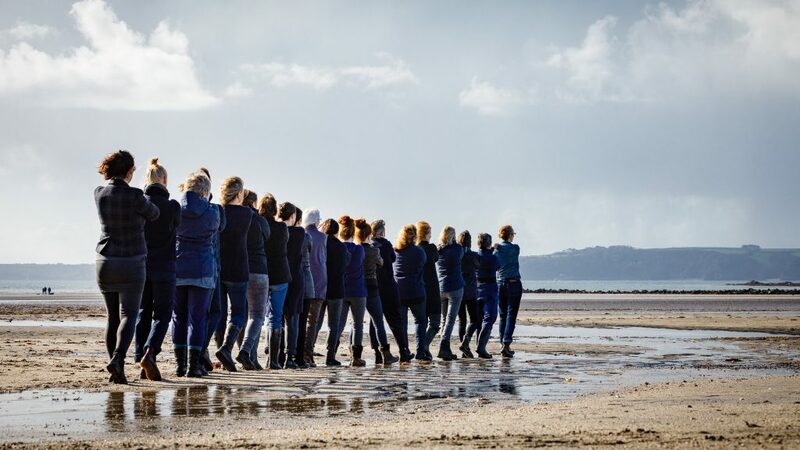 At low tide, over the course of an hour, thirty women dancers will come together as a singular form slowly moving across the sands.